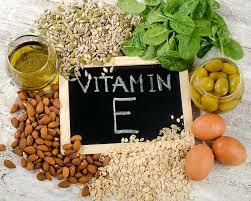 Vitamin E is an important vitamin found in leafy vegetables, nuts, and vegetable oils. Studies suggest that a diet rich in vitamin E can help to prevent heart attacks and strokes. Oatmeal and Oat Bran: These contain a high amount of soluble fibre, which can lower LDL. For the highest fibre content per serving, look for steel cut oats, which is available in most supermarkets. These oats are the whole grain variety and are less processed and contain more fibre than other name brands containing the flattened version of the grain. Fish: Fish is a great source of omega 3 fatty acids, which lowers LDL and raises HDL. Nuts: Not only are nuts high in fibre, but they contain the healthy fats you need to keep LDL in check. Plant Sterols: This is found in foods like margarine, salad dressing, orange juice, and functional cookies. 2 grams per day will lower your LDL by 10-15%. Soy: This popular meat replacement can lower LDL by up to 3%.